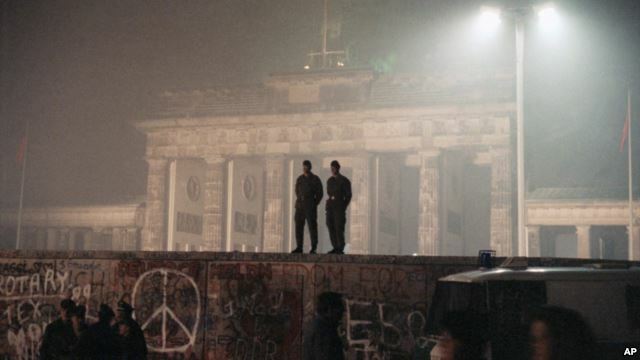 A group of artists and filmmakers plans to recreate Germany’s historic Berlin Wall. The Berlin Wall was built by communist East Germany. It divided Berlin from 1961 to 1989. The project is called DAU: Freiheit, or “Freedom.” Event organizer Berliner Festpiele recently announced the project. It is set to open on October 12 in Berlin’s Under den Linden area. The project still needs final approval from city officials. The closing is planned for November 9. Event organizers say the wall and exhibits will be taken down that day. The date is meaningful; the real Berlin Wall began to come down on November 9, 1989. Organizers have called the project “a social and artistic experiment.” Visitors will have to buy “visas,” the Associated Press reported. The visas will cost about $17.50. Once inside, visitors will be asked to hand over their phones. They will then be be given another device to carry. This device will guide each person through different exhibits, including film presentations, music and performance art. The aim of the experience is to begin “a political and social debate about freedom and totalitarianism, surveillance, co-existence and national identity,” organizers told the Agence France-Presse news agency, or AFP. 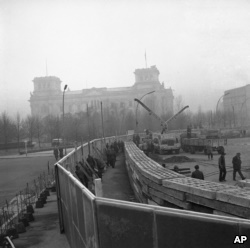 But some critics expressed concern that recreating the Berlin Wall could be hurtful to some people who lived in communist East Germany. 'Out of respect for the victims who really experienced such situations, we should step away from this,' Berlin politician Sabina Bangert told Germany’s Tagesspiegel newspaper. The event will be used to launch the first showing of a film project by Russian filmmaker Ilya Khrzhanovsky. The DAU film project has been in development for the past 10 years. DAU involved hundreds of actors living full-time from 2009-2011 in an environment modeled after a former nuclear research facility in the Soviet Union, the AFP reported. The actors who lived in the facility – which was built in Ukraine – were asked to dress, speak and act as if they were actually living under a communist Soviet government. Bryan Lynn wrote this story for VOA Learning English. His story was based on reports from the Associated Press, Agence France-Presse and other sources. Ashley Thompson was the editor.